Amritsar, April 12: A Sikh jatha of 839 devotees on Friday left for Gurdwara Panja Sahib in Pakistan for Baisakhi celebrations. According to reports, 872 pilgrims had applied for visas for the first batch, but Pakistan High Commission refused visas to 33 Sikhs pilgrims. The devotees will reach Hassan Abdal via train tonight. Baisakhi 2019: Pakistan Issues Visas to 2,200 Sikh Pilgrims From India Ahead of Vaisakhi. Meanwhile, Pakistan issued visas to 2,200 Indian Sikh devotees this year. The Pakistan High Commissioner on Tuesday confirmed the development and said the gesture by Pakistan to issue these visas was reflective of the reverence attached to Baisakhi, both in its religious and cultural dimensions. According to media reports, US-based separatist Sikh leaders will also be visiting Pakistan during this time to tempt Indian Sikhs to propagate against India in support of Khalistan. The annual Baisakhi celebrations will be held from April 12 to 21. Apart from marking the beginning of the new Sikh year, Baisakhi is the time to harvest the rabi crop. Baisakhi 2019 Date, History And Significance: How The Harvest Festival Vaisakhi And Sikh New Year Is Celebrated In Punjab. 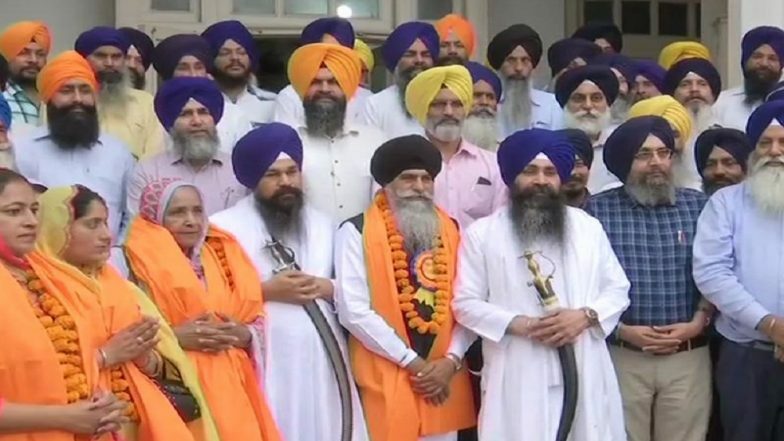 The Pakistan High Commission said that the Sikh pilgrims from India, during their visit to Pakistan, would go to Panja Sahib, Nankana Sahib, and Kartarpur Sahib. Pakistan said it remains committed to preserving sacred religious places and extending all possible facilitation for the visiting pilgrims of all faiths. Last Year, Pakistan did not allow Indian Diplomats to meet Sikh pilgrims who visited the country for Baisakhi celebrations at Nankana Sahib Gurudwara. In its protest to the Pakistan foreign ministry, India had alleged Pakistan for not following the code of conduct of 1992, which was recently reaffirmed by both the nations.